Mercedes Benz Sprinter Limo. From its spacious interior to its starred grille, the Professional Series of Mercedes Sprinter shows just how luxurious limousines can be. The Sprinter features an elegant and aerodynamic exterior that boldly defies styling limitations that large luxury vehicles tend to be plagued with. In addition, the open interior provides elegant lighting, tall standing height and spacious seating areas that can be customized exactly to your specifications and preferences. Advanced electronics, ultra high-end finishes and a long list of advanced options allows you to configure your Sprinter limo with exactly the options and features you need to impress your clients or guest and raise business travel to a high art form. Mercedes Benz has long established itself as the limousine industry’s longtime luxury brand. To continue its leadership, the company continues to refine its Sprinter Limo line. All of the Sprinter offerings are available in rear-double wheel 3500 models and four-wheel 2500 models, along with six and four-cylinder clean diesel options. They come in two different roof heights, have gross vehicle weight ratings of 8,550 pounds and seat 12. * Crosswind Assist safety features. For Sprinter 2500 models these come as standard equipment. The feature operates at speeds over 50 miles per hour. An adaptive ESP yaw sensor is employed for detecting lateral wind forces. In addition, the adapt ESP counter uses selective lateral brake intervention to steer. * A new lineup of high-range 4×4 six-cylinder models. The Mercedes Benz Sprinter limo is ideal for a wide variety of passenger transportation needs, including hotel shuttle, airport shuttle, senior home transportation and small group transport. Chauffeured transportation operators have a wide selection of different customized luxury configurations to choose from a certified Mercedes Benz up-fitter. These models are typically up-fitted with such luxury features as captains chairs, plush leather interiors, high-end entertainment systems, work tables, refrigerators and much more. 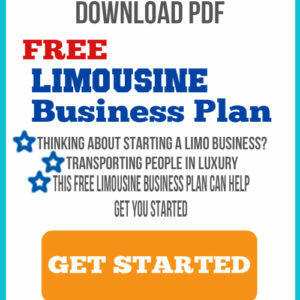 It is easy to see why the Sprinter limo line from Mercedes Benz has been the leader in luxury limousines for so long. First of all, these vehicles offer the renowned engineering that Mercedes Benz is so well-known for on its entire lineup of vehicles. Any business operator or passenger can rest assured of the high performance, quality and safety features when they are inside a Mercedes Benz vehicle. This is combined with operational efficiency, durability, safety and fuel economy, along with all of the luxury features that limousine operators and passengers have come to expect and even demand. The Sprinter limos from Mercedes Benz offer the ultimate luxury limousine experience. So no matter what your transportation needs happen to be, from transporting important business clients, to entertaining a small group of family or friends, to getting to and from the airport in style, a Stretch Sprinter limo is definitely a great option to consider. And please check out our other limo vans for sale. Your Cost: $84,995 Lease Option: $26,995 due at signing with $1299/month for 72 months. What are the wonderful features that are included in this excellent purchase? Find out how to take delivery, 310-762-1710 for more information.